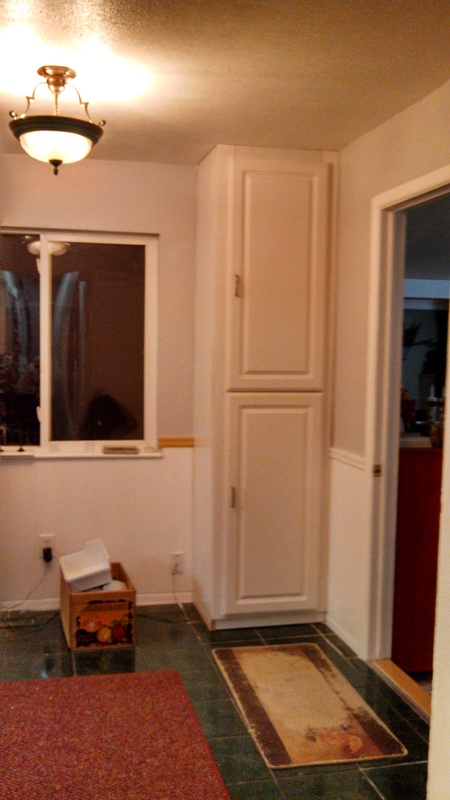 It was a close race, but NaBloPoMo squeezed out our remodel at the finish line by some paint and a cabinet. This post was scheduled to be a Saturday Sharrrring post. However, I’ve decided to dedicate this last post of NaBloPoMo to expressing my gratitude to everyone that has run this race with me. It’s been a challenging 30 days and a very good 30 days. And, there are several people I need to thank for offering their support and encouragement every step of the way. My sister Kathleen: For countless hours of listening and encouragement. Your love and support mean the world to me! My NaBloPoMo Midlife Sisters: Lois (our fearless founder and ring leader), Elin (up before the crows every morning to post our daily thread), Edee, Jacqueline, Kim, Ruth, Beth Ann, Sabrina, Carol, Karen, Risa, Margaret, Laurel (and more); I’ve loved getting to know each of you more closely over the last 30 days and wouldn’t be crossing this finish line if it wasn’t for each of you and the rest of our “Midlife” group. My heart overflows with joy to call you friends. Each and everyone of you that has read, “liked”, and/or commented on a post. There are so many of you that have stuck with me day in and day out for the past 30 days, and your faithfulness has been fueled me on the days I wanted to “skip just one day.” You are the ones that keep me blogging! To the organizers over at BlogHer and YeahWrite for hosting this NaBloPoMo 2013 party. It’s been a wild ride! See you again next year! Previous PostDog with a boneNext PostMy brother, the statistic. One of the best things about NaBloPoMo, at least for me, was getting to know you gals! Keep writing — no one ever died from a diet of Costco pizza and cereal. Congrats, Mary! I’m sure your family will be glad to have clean socks again, but you should be extra proud of sticking with it. Thanks for being part of our yeah write community for the month. This has been a blast and I’m so glad to have been a part of it with you! I loved reading your blogs over the last month and look forward to all of your future jewels! You’re a beautiful writer and your words oftentimes express my heart -felt sentiments. Most days, I come away learning something new. For example, recently I learned that I really, really need to remodel my kitchen…um…thank you…I think?! Go YOU, Mary! I’m so impressed with all of you who kept at it!